France’s PSA Group, maker of Peugeot and Citroen cars, is in talks about taking over General Motors’ (GM) loss-making European business Opel. PSA, which already works with GM in Europe on several projects, said a takeover was among “numerous strategic initiatives” being considered. Any deal would involve Opel’s UK arm Vauxhall, which employs 4,500 staff at plants at Ellesmere Port and Luton. Unite union leader Len McCluskey said he wanted urgent talks with GM. “My priority now is to speak to General Motors to seek immediate assurances for the UK plants and this loyal workforce. “I’ll also be seeking urgent conversations with the government, because everything must be done to secure our world-class automotive industry,” he said. 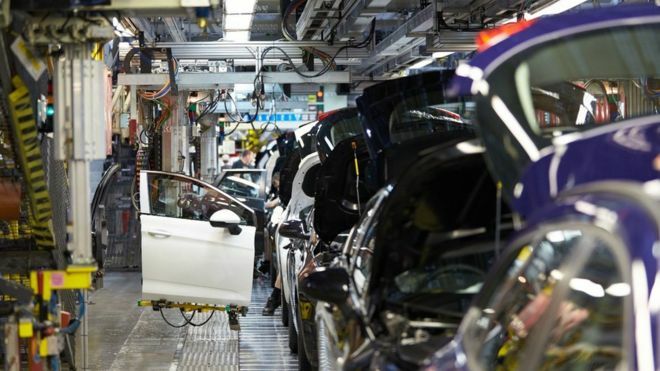 In addition to the employees at Vauxhall’s manufacturing sites, the company said that 23,000 people worked in the retail network and 7,000 in its UK supply chain. An Opel takeover would see GM exit UK and Europe, while transforming PSA Group into Europe’s second-largest carmaker – behind VW – with a 16% share of the European market. Renault-Nissan is currently Europe’s second biggest carmaker. The French state holds a 14% stake in PSA, as do the Peugeot family and Chinese firm Dongfeng Motor. However, the company added “there can be no assurance that an agreement will be reached”. GM also said that “there can be no assurance that an agreement will be reached”. In December 2013, GM sold its 7% stake in PSA for £250m, after plans to make cost savings from co-operating on a number of projects were not as successful as envisaged. That failed experiment led PSA to seek a bailout from the French government and Dongfeng. In 2009, after GM’s bankruptcy the US car giant came close to selling German-based Opel, but changed its mind in order to retain a strong presence in Europe. The PSA announcement comes a week after GM reported a loss of $257m from its European operations last year. Mr McCluskey said he was “really disappointed” with how the news of the talks emerged after the GM president gave him personal assurances at the end of last year that there would be no surprises when it came to the future of the UK plants. He told the PA news agency: “While this has come out of the blue, we are absolutely determined – UK plants will not be allowed to close. “I have no intention of allowing GM to walk away from our plants and workers – so my message to the workers at Luton, Ellesmere Port and the tens of thousands in the wider supply chain is this, remain strong and stay united.